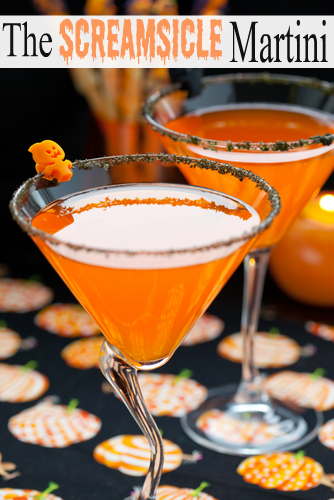 Halloween is c-r-eeeeping up on us, and it’s time to start thinking of spooky drink recipes that will have family and friends screaming in delight. Although it's a ton of fun to mix up a big bowl of punch for the kids, the holiday isn't complete without a mixed drink for mom and dad. Adults will love the Screamsicle Martini. Mix 6oz Cascade Ice Orange Mango with 1/2 oz of orange vodka and 2oz of whipped cream-flavored vodka in a glass with ice. Garnish with some red or black licorice for the perfect cocktail! Cascade Ice waters are free of unnecessary and unhealthy "extras" found in other flavored waters like calories, sodium, caffeine, gluten and sugar. Compared to many popular soda brands which can contain upwards of 38 grams of sugar, Cascade Ice beverages are sugar-free and full of flavor. Find more information on Cascade Ice's Facebook page.